I first stumbled onto Cake Spade after a google search of "cake cafes near tanjong pagar" due to a pretty sudden cake craving while waiting for T at the mrt station. And subsequently, I returned with A recently for a quick cake fix. Located around Orchid Hotel, I have to be honest to say that Cake Spade is a cafe so small and humble looking, with just 6 seatings in the interior and a couple more humbly plain looking tables and chairs laid out on the outside, that you probably will just walk right past it without a second look or the slightly recognition that that's a friggin awesome cake cafe right there. But frankly speaking, judging from the fact that you probably will not be keeping the bottle after consuming the beverage, the price tag does not justify the purchase at all. 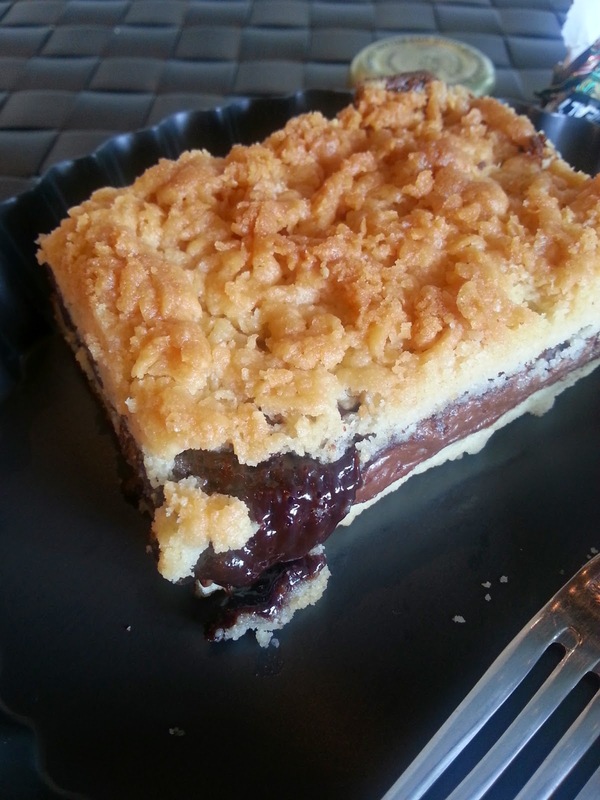 A layer of fudge and nutella sandwiched between a buttery short crust pastry and a layer of crumbs! Sounds yummy, eh? And to show how runny the fudge-nutella layer is. First bite, heavenly! 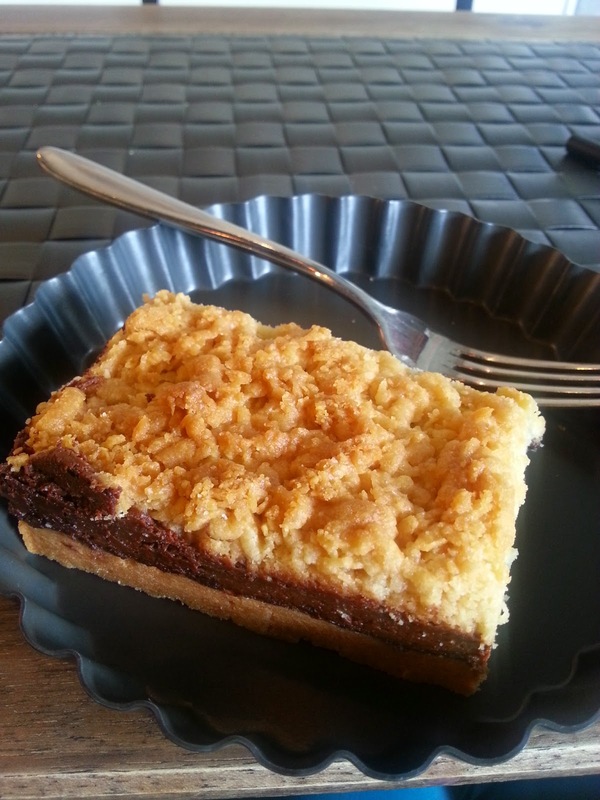 The bottom crust tasted like an exceptionally short (buttery and crumbly) shortbread and the top layer of crumbs added just the right amount of crunchiness oomph up the overall texture of this decadent treat! But as you slowly polish the entire bar off the plate, things might get a little difficult as the taste is way too rich, both the chocolate-nutty richness of the filling and the buttery fragrance of the bottom and top layers just made it too jerlat (strong, overpowering) for me. Best to visit with a friend (or two) and share a few other choices of goodies together so as to not experience a sweet-richness overkill. Come on, oreo cookies, brownie, and a huge scoop of vanilla ice cream on top. What more can you ask for? The brownie was rich, chocolatey and very dense. 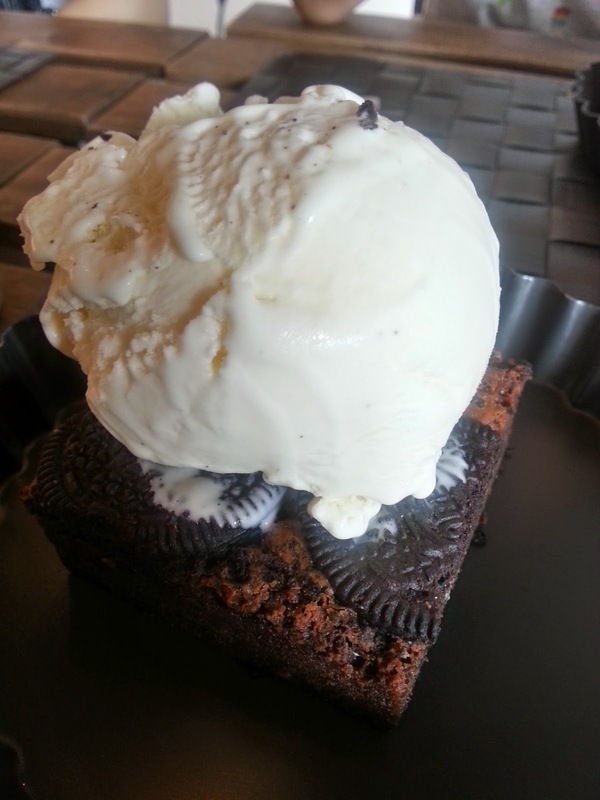 I remembered it was a little too dry and dense for my liking and the oreo cookie were somehow, too soft and soggy. Would have been a perfect match made in heaven, but oh well, it somehow fell short of my expectation, which I have to admit that I might have unknowingly set them a little too high? Of course, with T around how can we not have red velvet cake? Look at the moist layer of red sponge cake and pretty swirls of cream cheese icing on top! 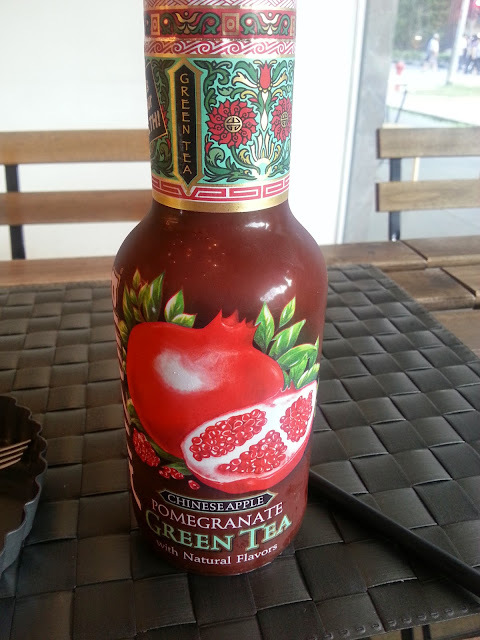 But I didn't really try out the taste, for I'm really not a fan of red velvet (mostly due to the cream cheese icing). 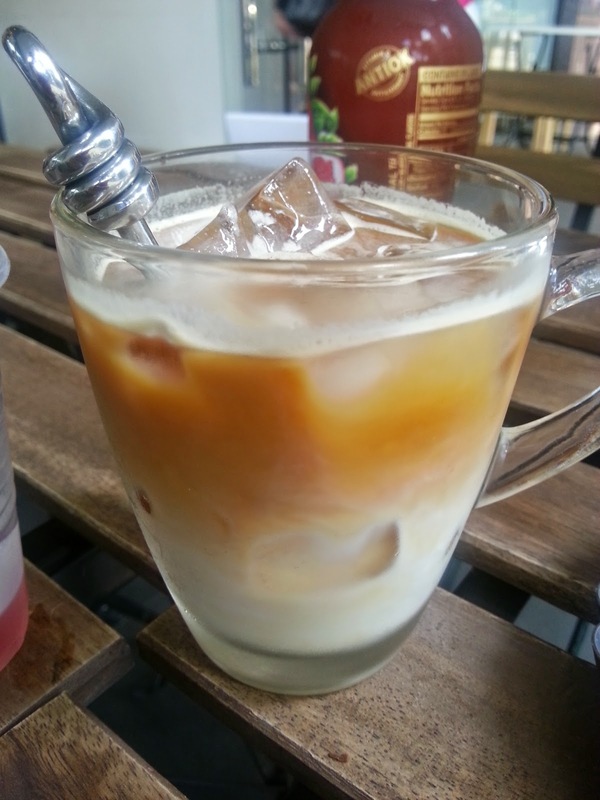 And on my 2nd visit with A, I got myself a cup of Iced Latte due to the hot weather. The coffee was just so-so, and quickly got washed down when the ice started to melt. A classic chocolate cake with moist chocolate sponge cake and iced with rich and smooth chocolate ganache. 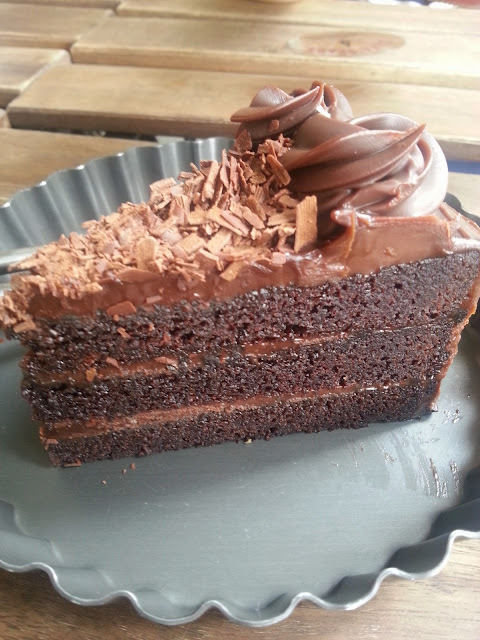 This cake is truly decadent and is a must try for all chocolate-addicts out there. The sponge layer is (obviously) moist and soft, and the ganache velvety smooth and rich. But once again, the taste can be pretty jerlat even for a chocolate-lover like me, so sharing with fellow chocoholic friends is highly recommended. Yeah of course, how can we miss out their signature cake? And with just one bite, both A and I nodded our heads and said, "Yummy!" Worthy of the signature tag indeed! The cheesecake was truly of an almost tofu-like consistency, super smooth and finely textured, which literally melts away in your mouth. 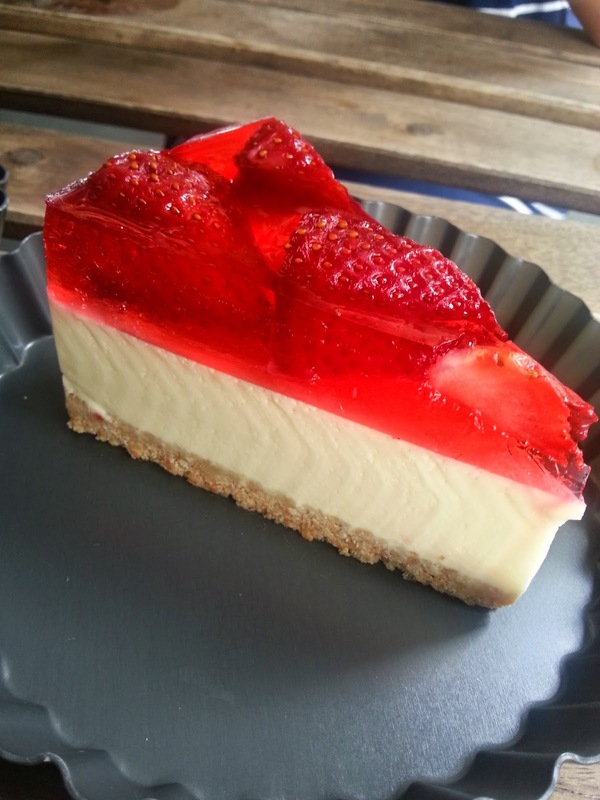 Topped with quite a generous chunk of fresh strawberries encased in sweetened jelly, this is a remarkably light and refreshing cheesecake. A pleasant surprise indeed, for I've always feel that cheesecakes are the most jerlat cake of all. I love the play on words for the cafe name. The cake looks so yum. seriously all these desserts are so delicious..
Oh wow, they look fab! 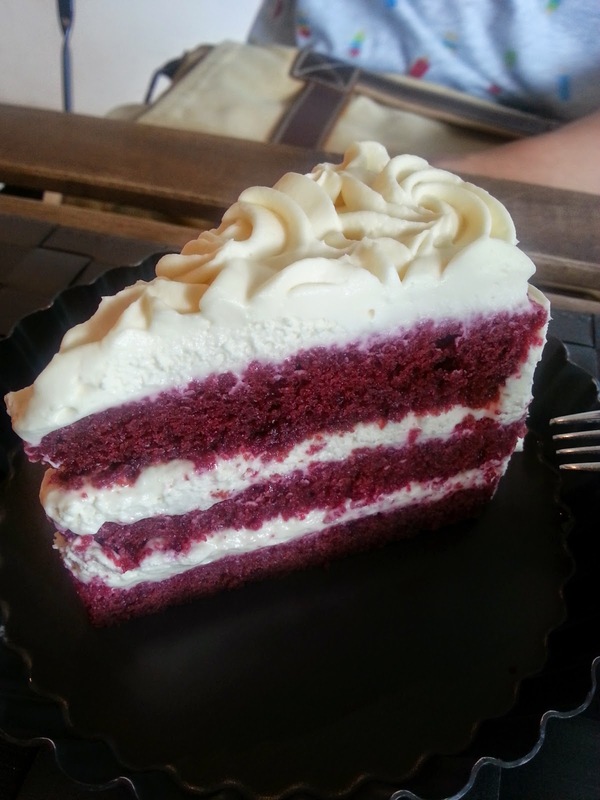 And the Red velvet cake is just amazing! I wish I had some right now! Waaw the nuttela, you success make me want cake so bad now. my heaven. id have one of everything please! Oh well, sweet tooth! Chocolate Blackout and fudge-nuttela definitely haunted me. BTW, Cake Spade sounds more like Kate Spade, the fashion brand, eh? Nice posting! Oh my Yumminess!!!! I could so go for everything above right now! Funny it sounds like Kate Spade!! Was this intentional? Anyway the cakes look yum !